Bring wrapped gifts for your sponsored family to Duke's anytime before the 19th. All gifts will be delivered directly to the families in Chico on the 22nd. 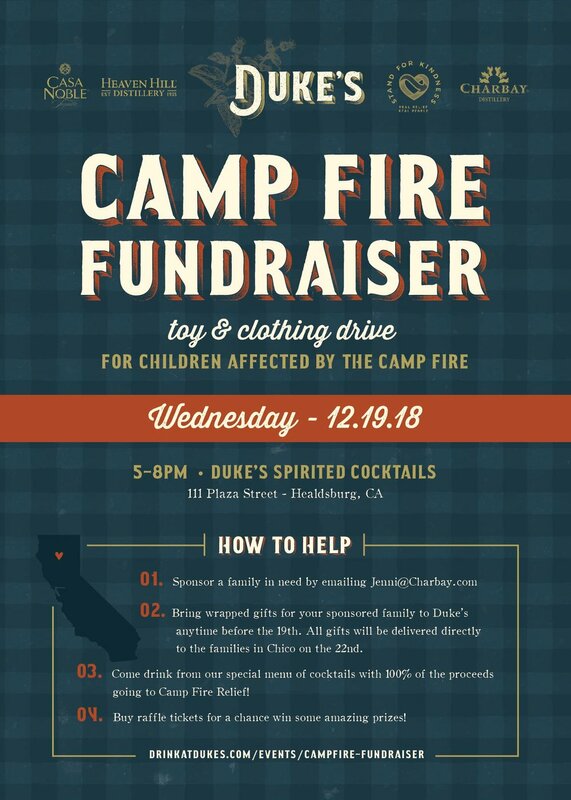 Come drink from our special menu of cocktails with 100% of the proceeds going to Camp Fire Relief! Buy raffle tickets for a chance win some amazing prizes! Fall Fun-Raiser for the Abundance Fund!